Yesterday I wore this manicure as a way to use some of my untrieds. These are two really nice polishes and I was happy with them, but I wasn't really feeling drawn to the color combo right now, so my nails are bare again today. 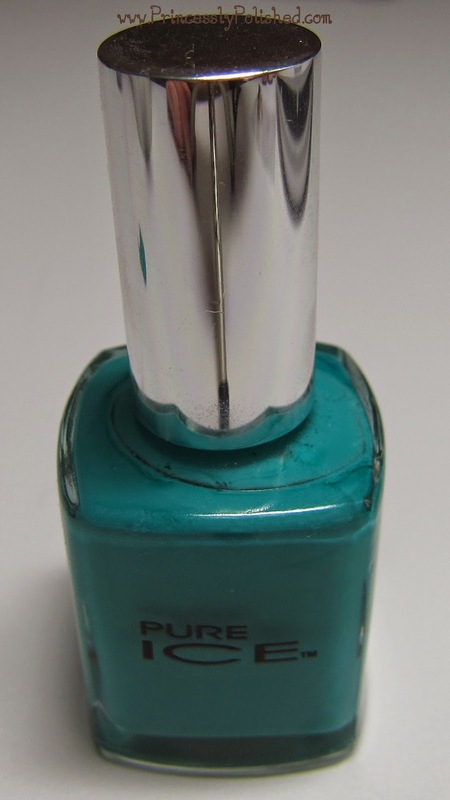 Pure Ice Scream is a really nice blue-green creme polish, sort of a turquoise, teal, or dark aqua color. It dries just a little bit darker than it looks in the bottle. It is easy to work with and has really good coverage. I used 1 coat on all my nails except my ring finger, which took 2. I also let this dry without topcoat, so you can see it levels nicely and has decent shine. The only issue I had with Scream was when applying the glitter on some of my nails. I had to use a light touch or it would start to smear and create bald spots. 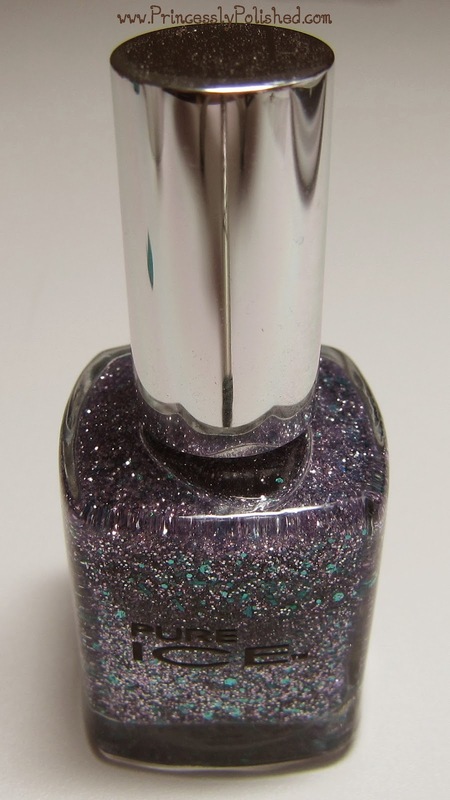 Pure Ice Over You is one of their newer glitter releases, and I really love the colors. I think I will like this better layered over a pale base color. It is made up of micro and tiny lavender glitter, and had holographic aqua glitter in small hexes and short, stubby bars. I really like the bar glitter, it reminds me of splashing water. I only used 1 generous coat on my nails and was very happy with the coverage. The glitters spread well and I imagine this could easily be layered up for full glitter-bomb effect nails. I used topcoat to smooth my glitter nails, and didn't notice any texture after that. Check out the macro shot below to see it better! These polishes impressed me for $2 finds, with good formulas to match their pretty colors. After realizing how nice Scream was to work with I might have to give a few of their other new creme colors a chance. So, this is my short and sweet post for today. As always, thanks for looking!